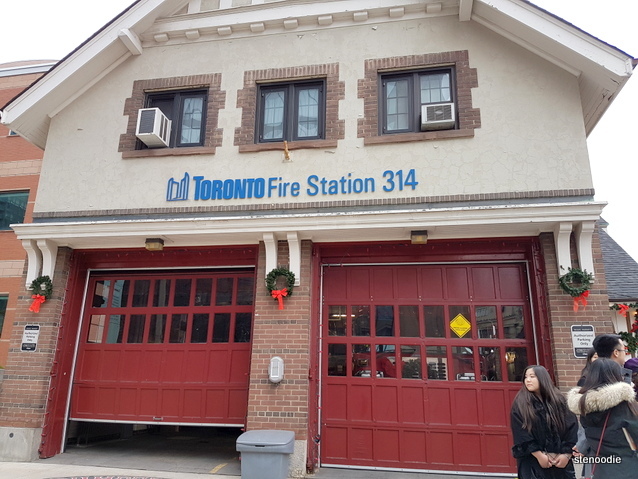 After a wonderful lunch at Spring Rolls, we headed to Toronto Fire Station 314 to deliver the toys that we had collected for the Toronto Fire Fighters Toy Drive. 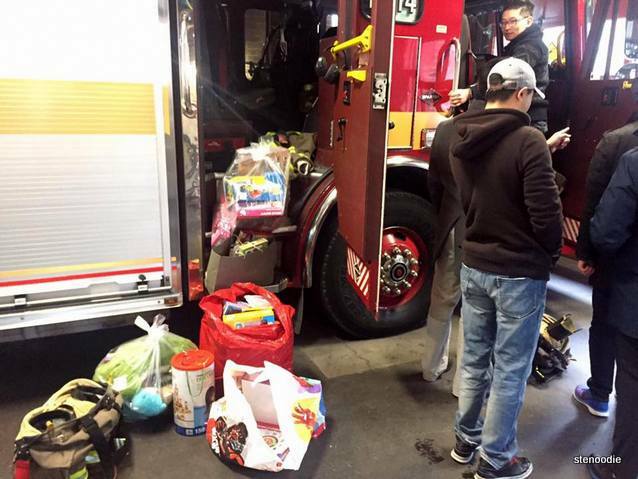 More information about the toy drive can be found at this link. 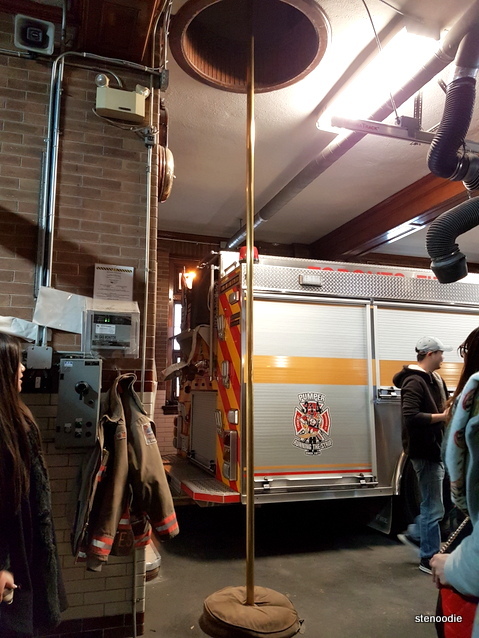 At the fire station, we were treated to an exclusive and private tour of the fire truck on site from Philip and Matt as well as a brief Q & A session! I wasn’t expecting this at all and thoroughly enjoyed the visit! 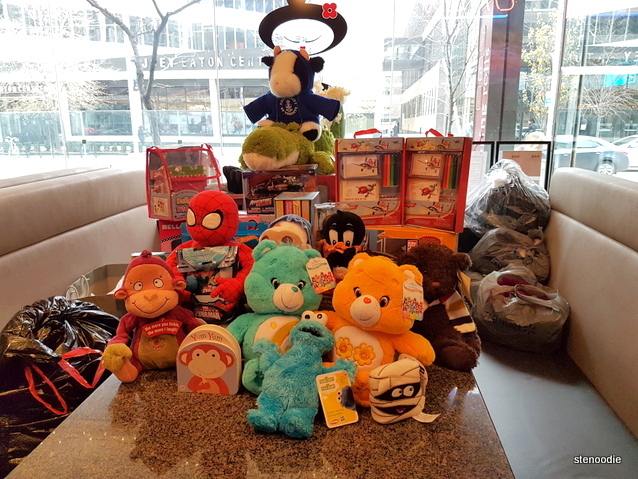 First, we dropped off the toys into the bins for the Toy Drive. Then we were able to climb into the belly of the fire truck to see what it was like inside it. I had never been in one in recent memory so this was really cool. I felt like we were on a field trip! 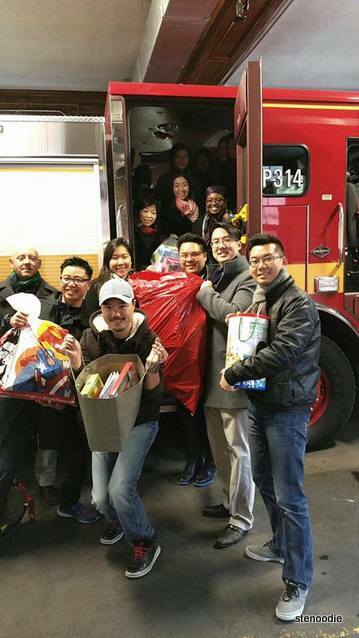 🙂 We took a group photo of us in the fire truck spilling out into the fire station. 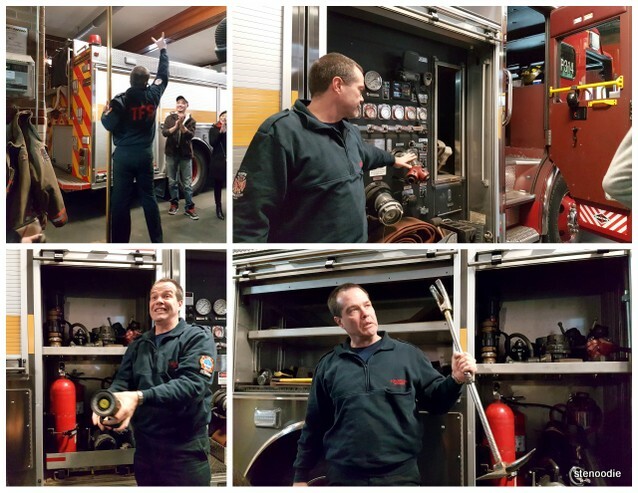 Philip demonstrated a pole slide for us briefly and answered any questions that we had about their fire services. It was really fascinating to learn and hear about their 24-hour shifts and how they operate! They have a gym at the fire station that they train out of and are always ready to get into their trucks within a minute or so after receiving a call. 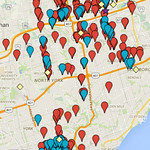 On an average day in Toronto, they get 15 calls ranging from tiny waste bin fires to full blown house fires. Phil also showed us some of the gear that they use when they rescue people. He passed them around for us to handle. I don’t remember the names of the tools but they were extremely heavy! 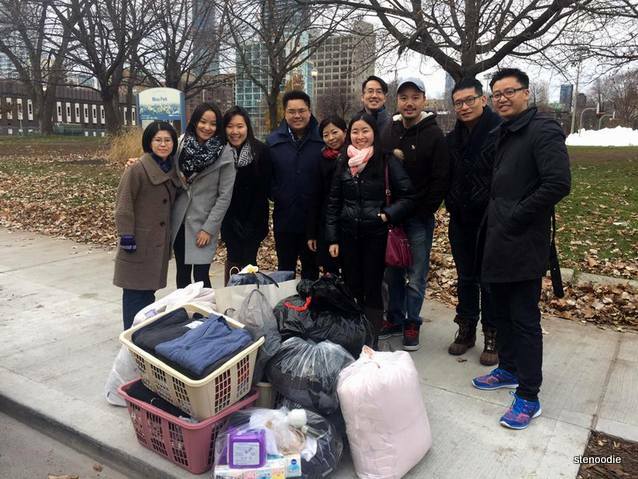 Our next stop was to Moss Park where our intention was to give away the clothing, blankets, socks, thermal mugs, and care packages that we had collected to the homeless. 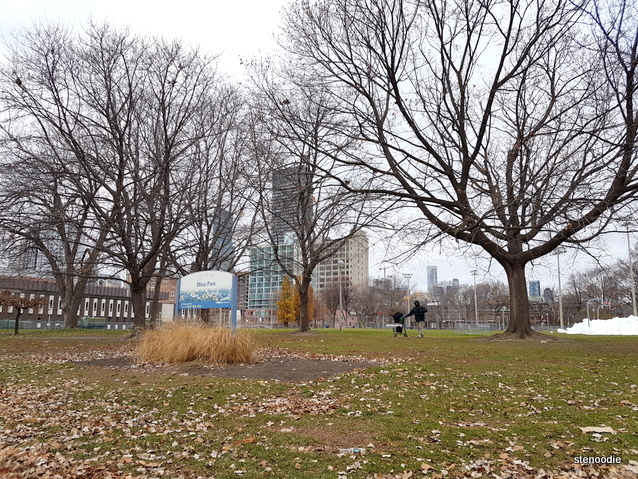 When we got to Moss Park, we noticed that there was a group of people on the field. Two members of our group approached them to inquire what was going on and it turns out that there was also another volunteer group there doing the same thing that we were doing. 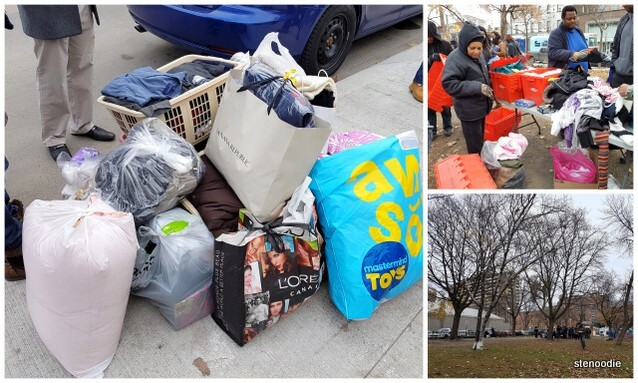 They had set up a station of fold-out tables for the homeless to “shop” for clothes and other necessities from as well as provided some hot food for them. This worked out perfectly for us so we dropped off the donated items that we had, helped them to briefly sort it, and we were on our way. We met the individuals who were responsible for this initiative too and they had been doing this for over 20 years! 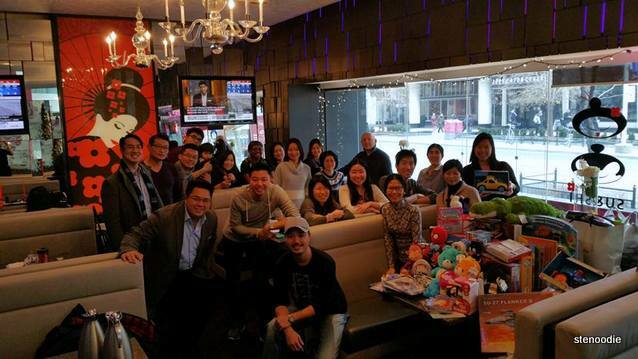 We exchanged contacts with them so that we could network with them in the future when doing this again since they had a better reach towards this yearly event than we did. And this way, we could combine our efforts when collecting donated items again. I was really grateful for the opportunity to participate in this meaningful initiative with the Trillium Lions Club. 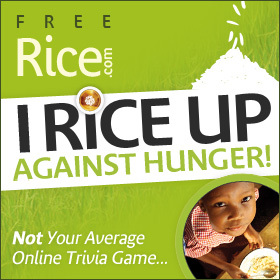 They really do have the best volunteering activities and I am always ready to help out whenever I can. 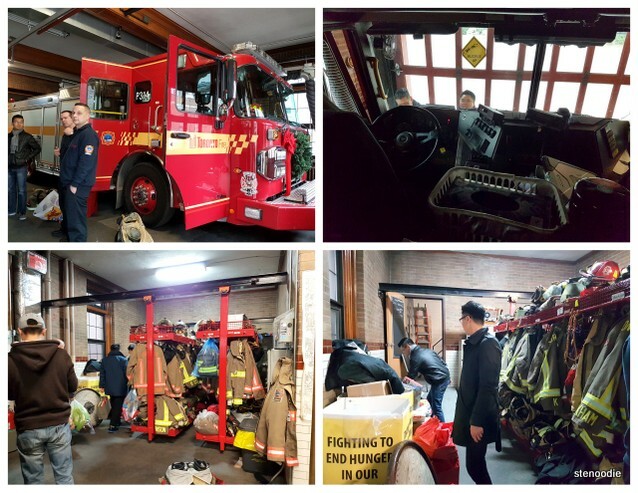 This entry was posted in Philanthropy and tagged @trilliumlions twitter, Annual toy drive, Christmas toy drives, Kingsview Village church, Moss Park, Toronto, Toronto Fire Fighters Toy Drive, Toronto Trillium Lions, Toronto Trillium Lions Club Toy and Care Package Drive, volunteerism. Bookmark the permalink. Wow! It does look like a field trip!! Ohhh I really like this post, Karen! Good job! Haha, thank you, Grace!! 🙂 I know that you have also handed out clothing to the homeless as well (and blogged about it too) ;).